On 10 June 2014 at Virtual Telescope we shared live, online, the potentially hazardous asteroid 2014 HQ124, a couple of days after its close encounter with the Earth. The session was a big success, with the asteroid beautifully visible and perfectly tracked by our systems. 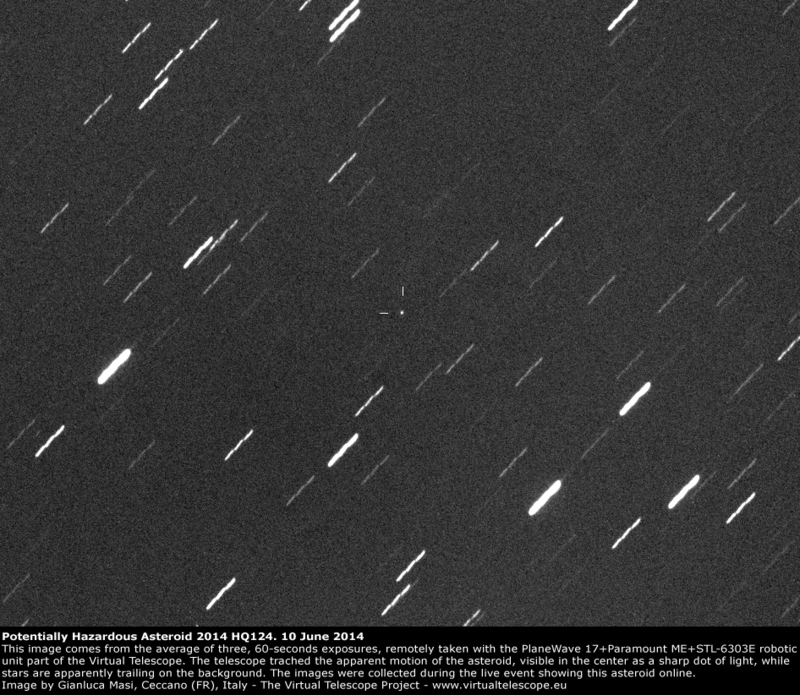 Above is an image coming the live show, captured with the 17″ robotic unit, where the asteroid is visible in the center: the telescope was tracking 2014 HQ124, so stars are apparently sliding.